PortalManager is a one-stop software solution for Estate Agents. The software is used entirely over the internet, so no need to download any software. The PortalManager desktop features a simple tabstrip which makes finding everything easy and quick. From the Home tab you can display account usage statistics, read announcments and use the desktop launch buttons. From the Advertising tab you can manage your uploads to the Property Portals, access your Google Analytics, manage your own website and even setup multi-listing with other Estate Agents. From the Calendar tab you can arrange Appointments with colleagues and Contacts in your database. Display the office Calendar. From the Campaigns tab you can setup and manage fully automated email, text message and social network marketing campaigns that can find Contacts and match to Properties. From the Contacts tab you can add and manage your Contacts database. Search for Contacts using your own range of Categories. Match Contacts to Properties. From the Properties tab you can add and manage your Property Listings. Search for Properties, automatically match to your Contacts. From the Tasks tab you create fully managed Projects, such as Property Management and Sales Progress tasks. 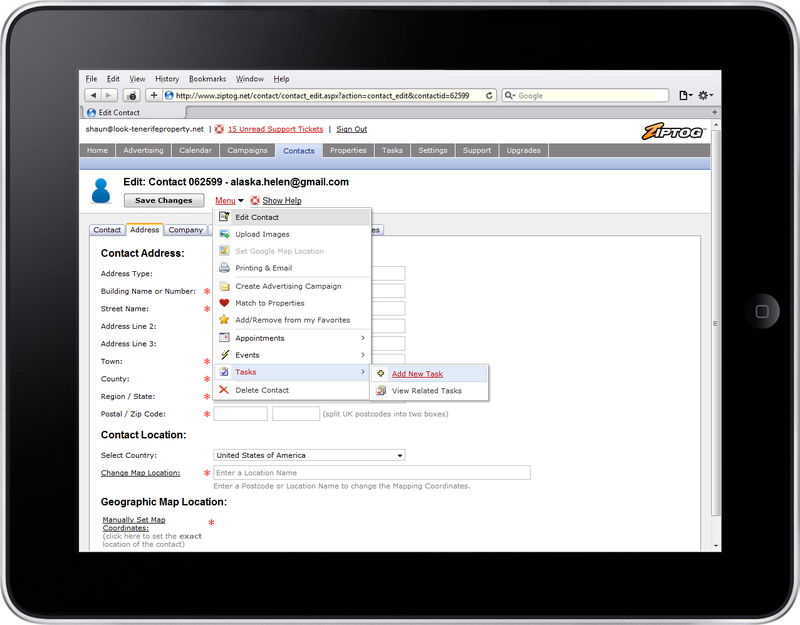 Assign tasks to Colleagues, Suppliers and Contacts in your database. From the Settings tab you can setup new Users, add Branches, set security restrictions, create and design property particulars, window cards, manage your website. From the Support tab you can read your account statistics, download training videos, user guides and raise technical support tickets. From the Upgrades tab you can engage us to empower your existing website, order a brand new website, google optimization, and upgrade your PortalManager account.